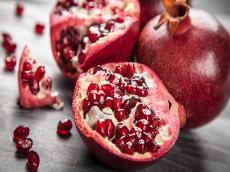 A new initiative for the promotion of pomegranate, a national fruit that plays a big role in the development of both agriculture and tourism, has been launched in Azerbaijan. There is a necessity for the creation of the national gene pool - the Living Museum of Pomegranate, where the rich genetic diversity of the pomegranate will be concentrated in a vast area and the local and imported varieties and forms of pomegranate will be widely available. Director of the Institute of Genetic Resources of ANAS, correspondent member of ANAS Zeynal Akbarov said at the republican scientific-practical conference on “Multidisciplinary problems of pomegranate cultivation and yield”, Trend reported. The scientist said that all available material and cultural examples of pomegranate can be displayed along the live collections in this museum. This living museum, while being an exhibition of all achievements of pomegranate, may serve as a place for training young researchers, amateur gardeners and farmers, and as an agro-tourism and leisure center for local and foreign guests. Since 2006, traditional festivals of pomegranates have been held in Goychay region every year. It serves to promote the Azerbaijani pomegranate that has become a cultural and tourism symbol of the country. At the festivals, products made of pomegranate, including pomegranate juice, pomegranate jam as well as various sweets which are unique examples of our national cuisine presented to guests. Pomegranate is not only economically profitable, but also of great importance for human health. Pomegranate juice and peel are used in the treatment of up to 20 diseases. The varieties Gulovsha, Vesel, Shandi, Shirin and Bala Mursal are mainy cultivated in local gardens. For the further development of pomegranate production, measures to cultivate new pomegranate varieties and create new gardens are being taken.